Utilising the cloud can help businesses of any size and age save money and streamline operations with limited IT infrastructure. Taking off this burden, business owners are free to focus on other parts of their business. Regardless of your industry, using the cloud can save time and money and foster growth. Data backup and storage using the cloud are essential and should be used by all businesses. Statistics shows that nearly two-thirds of cloud users rely on this functions. Using online backup and storage can help protect your company from malware and natural disasters. When you’re in the cloud, you can access computing information on demand. 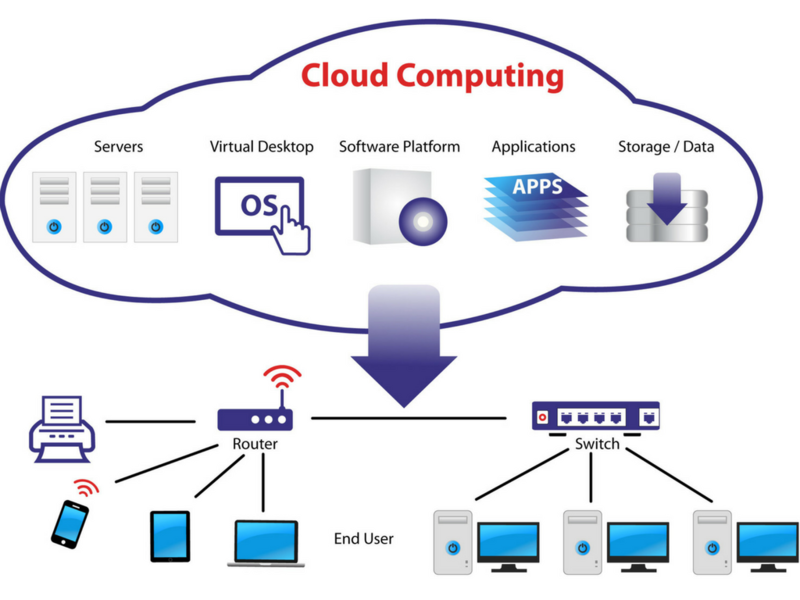 Cloud computing offers the freedom to create and experiment without making a huge investment in servers or IT staff. Another advantage of using the cloud is enabling all remote staffers to work together in real time. If your team are in different locations, you can keep track of your staff activities using cloud-based services to update timelines and other documents. The most attractive things about cloud solutions are that they are decentralized; the odds of data being manipulated in any theft, hacking or through other means is greatly reduced.